PSG since last six years’ take over from Qatar Sports Investment have become a club that can afford the excesses of hiring and firing coaches as they deem fit. Fortunately for them, they have rarely been at such cross roads. All the coaches that have been hired since the takeover have managed to reach the minimum requirement of rulingFrance albeit only failing at the ultimate target of conquering Europe. Laurent Blanc couldn’t get them past the knockout stages once they got pitted with a heavy weight there were supposed to be on par with. Not evening the initial hiring of the coach with three Champions League trophies – Carlo Ancelloti – could bring them their heart desires. Unai Emery on the back of showing what managing skills he had plus his successes with Sevilla in the Europa League got appointed chief coach last summer.Unfortunately for the Spaniard, that coincided with the magic of a season Leonardo Jardim and his callow Monaco side was cooking and that led to the denial of Les Rouges-et-Bleu a fifth straight league title. Luckily for Unai, his side was able to sooth the nerves of the club fans and chiefs by completing a domestic double. Whether that was enough to buy an extra season for Emery or the fact that no desirable manager seems to be available this summer was the reason the board let him off the hook remains to be seen. 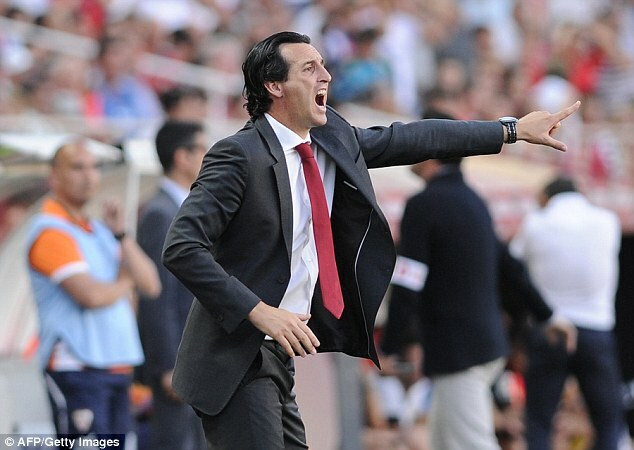 All we know is Emery has one more chance to show his records at La Liga clubs was no fluke.It’s left for him to take it.